Download the Free Trial and see how EZ an Address Book Program can be! Never forget birthdays and anniversaries again. 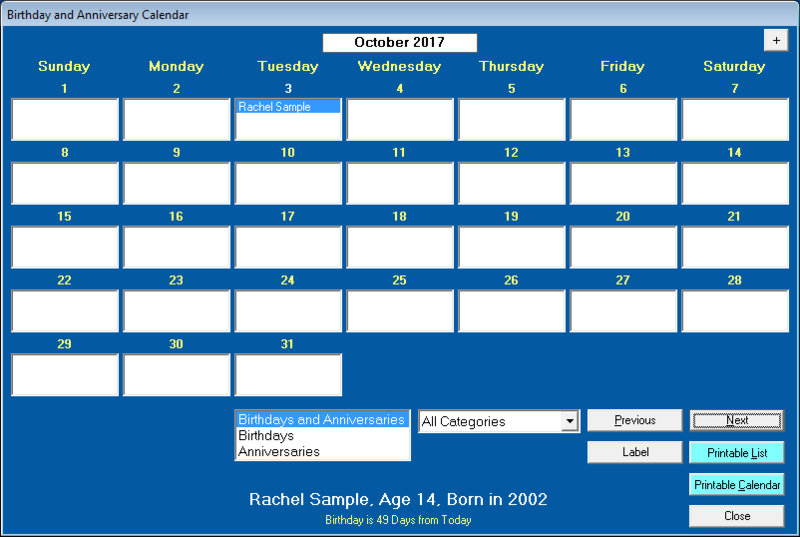 There's a printable Birthday and Anniversary Report that shows the name, date, age or years, and the number of days to the next birthday or anniversary so you always know when one is coming up. 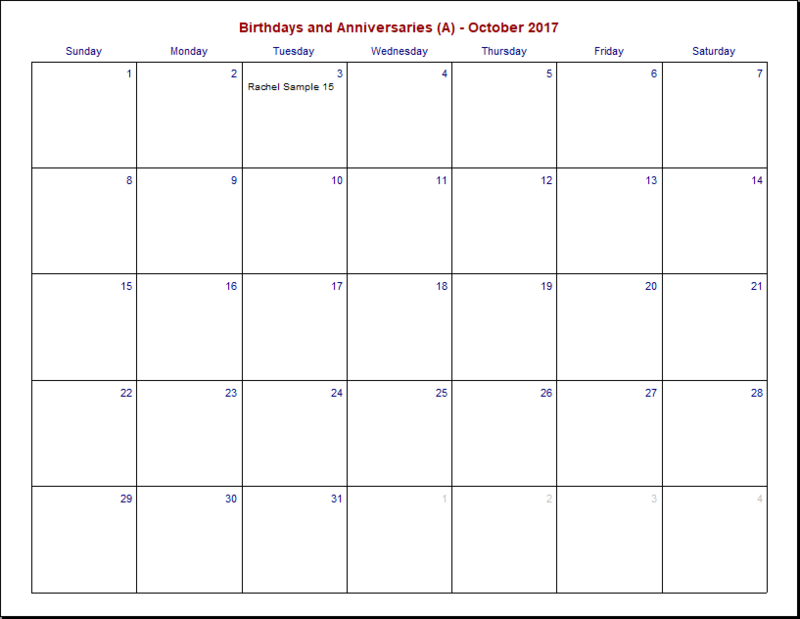 There's also a Birthday and Anniversary Calendar and a printable calendar. 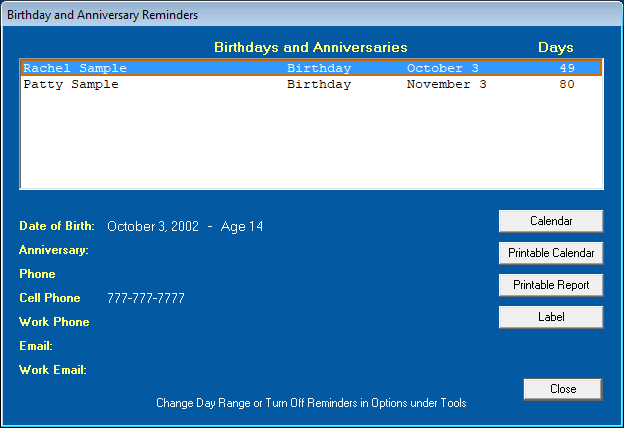 In Options you can set a reminder day range from 0 to 99 so automatic birthday and anniversary reminders are displayed when the program starts. 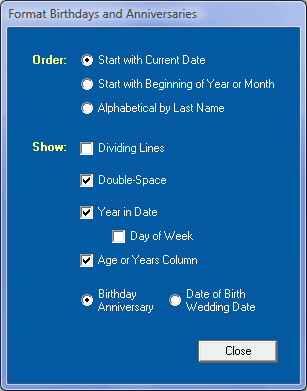 Consider adding EZ Home and Office to your Windows Startup folder so when you start your computer, EZ will start and show the Birthday and Anniversary Reminders screen. See Windows Help on how to add a program to the Startup folder. The printable report and calendar can also be exported to a PDF file and the file can be shared with other	computers and smart devices by using Dropbox. Screen shots and more information below. Consider adding EZ Home and Office to your Windows Startup folder so when you start your computer, EZ will start and show the Birthday and Anniversary Reminders. See Windows Help on how to add a program to the Startup folder.